Are these snack pots akin to fun sized mars bars? No! They contain exactly the same amount as a small tin of beans..........Same price, as well generally. They are a godsend to my Daughter and myself, as my seven year old Grandaughter loves beans (as do most children of that age ) and after school they are quick and easy to prepare, easier than the toast to go with it. Just as the world is turning against plastic, Heinz invest in the use of the stuff. Is there a difference to opening a ring pull tin and a plastic pot? Easy to pour contents of the tin into a microwave friendly bowl. The investment should mean the factory is staying,which is excellent news,but it could mean less jobs too. I suspect that to be the case too, Spud. Kraft Heinx the parent company has seen it's share price fall 26% this year to date. They sure picked a bad time to build a factory to pack product in plastic! 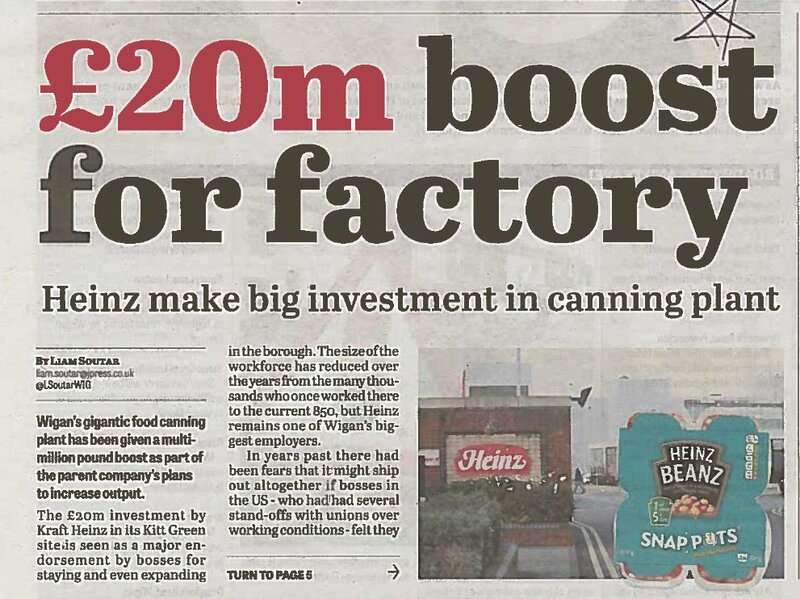 There is a new high speed canning line going in too,the best things Heinz did was the chunky steak,made for M&S,the only product kept locked up,their burgers and the toast toppers,and the canteen used to be fantastic.